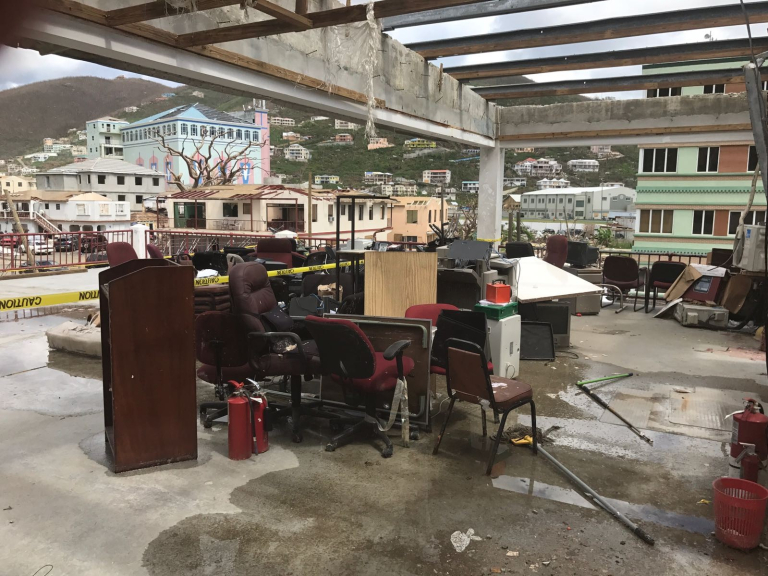 Equipment and children’s toys collected for firefighters, their families and the wider community on the hurricane-stricken British Virgin Islands will be delivered in time for Christmas. Staff from Devon & Somerset Fire & Rescue Service and Devon & Cornwall Police with the help of charity SAFE South West have collected enough donations to fill a 40-foot container, which leaves aboard a ship today. (Thursday 23 November). 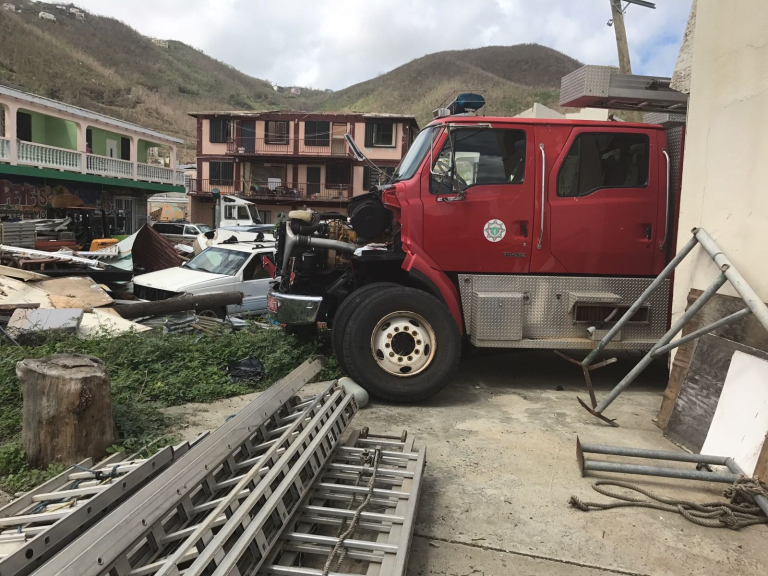 When Hurricane Irma made landfall in September, it caused massive damage to the island’s infrastructure and all six fire and rescue service fire stations were damaged. The roof was blown off the Fire Headquarters by the 200mph-plus winds and most of the firefighting equipment was destroyed. The homes and possessions of firefighters were destroyed or lost, with their families living in fire service premises when they are on duty. An initial aid package was sent several weeks ago and that has been followed by an even larger consignment of much-needed equipment with the help of fire and rescue services from across the country and other organisations. Steve Smith, of SAFE South West, who co-ordinated the charity collection, said: “It has been a huge effort from everyone and a really good collaboration with the police and fire services. The container includes nearly three pallets of toys, mass decontamination structures, light portable pumps and other firefighting equipment and clothing. It is due to arrive in the island on 17 December.